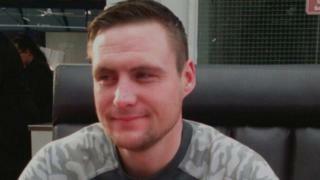 A man has been charged with murdering his brother in a stabbing. Damian Banks, 34, was found unconscious and with injuries to his chest at a property on Turnbull Close in Durham, shortly after 01:30 GMT on Saturday. He was taken to Newcastle's Royal Victoria Infirmary but died. Vincent Bell, 35, of Turnbull Close, was arrested at a nearby address and is due to appear at Newton Aycliffe Magistrates' Court on Monday.